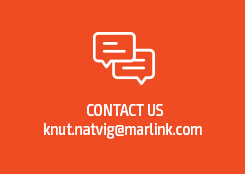 Oslo, 13 January 2016 – Marlink maritime Service Provider Partners and End Customers can now enjoy free round-the-clock access to the unique and comprehensive online management tool Portal360. Portal360 is a 24/7 connected solution enabling Service Provider Partners to access a variety of business critical data to proactively and efficiently manage their customers, whilst staying in full control of their own accounts and business. Using an intuitive secure web interface, Portal360 features a ‘dashboard view’ providing Service Provider Partners and End Customers with key information about subscriptions at a glance, right after they log in. The system features a tablet-friendly, HTML5-based interface, which can be organised by vessel or fleet and in various views, while advanced filtering and search mechanisms facilitate streamlining of service settings. Portal360 provides direct access to a variety of information, including accounts and subscriptions, electronic invoices and service usage to manage satcom broadband services such as Sealink, Wavecall and Pharostar VSAT services. The initial release of Portal360 integrates Marlink’s XChange Manager, Mail Manager and VSAT Manager tools along with new functionality into a single online presence, significantly improving service administration. Portal360 will be developed continuously with new functionality added regularly to capture the latest management needs of customers and partners. Furthermore, Marlink Service Provider Partners are given the option to co-brand Portal360 using their own and their customers’ own logos. They can easily create access for their own customers and end-users, and determine what information is available to them, providing an extra layer of service and support for ship owners and operators. USA-based Mackay Communications is the first Service Provider Partner to take full advantage of the ability to adapt Portal360 to its own branding. Mackay will enable end-user access to selected data on Portal360, helping its clients to better manage and control their communication and IT services on board. Freek Tempelaar, CIO at SatComs in Airbus Defence and Space said: “Portal360 is a unique digital solution, available to all our customers, our Service Partners and their clients. It enables them to streamline their satcom service management, monitor their fleets, initiate service change orders and push remote configurations.